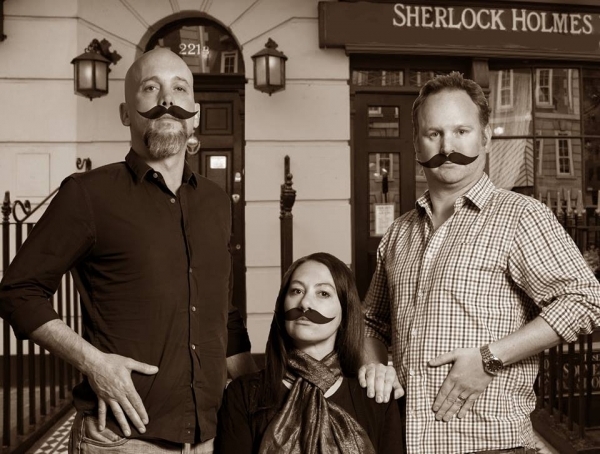 The latest offering from the pen of Robert Fridjhon, ‘Sherlock Holmes and The Curse of The Queen’s Diamond’, is a rollicking journey of mayhem, hysteria and giggles galore! Three brilliant actors take you on a journey of intrigue and mystery as they present their account of the mysterious missing diamond – the Koh-i-Noor – to Queen Victoria herself! And it all goes splendidly … well, almost! It’s the perfect alternative to the usual festive fare and runs at the upstairs STUDIO THEATRE at Pieter Toerien’s Montecasino Theatre complex until 15th Jan, moving to THEATRE ON THE BAY, Camps Bay from 18 – 28 January.